Fear can save your life in some situations, but totally suffocate you in others. It can result in total paralysis. Maybe you set up a blog and planned to fill it with posts about your hobby or your family life or your pets – or whatever. You planned to write those posts yourself, didn't you? What's stopping you? Is it fear? Or maybe you haven't set your blog up yet. You've been thinking about it, but have been putting it off for fear that friends or family would laugh at your efforts. If you want to start a blog, you can do it for free at SimpleSite. Just click the green button. Maybe right now, you're saying to yourself that you're not afraid to write posts and put them online for all the world to see. But you just can't find enough time to devote to it. Is that the real reason your blog doesn't have even one post yet? Fear can disguise itself so that you don't actually have to admit that you're scared to write those posts. Let's take a look at some of those disguises. You know what you want to write about, but you keep getting distracted by other tasks that might be only a '1' on a '1 to 10' scale of importance. And yet you just have to empty the dishwasher or clean out the junk drawer at that very moment. Yes, letting minor distractions keep you from writing your blog post is simply procrastination that hides the fear that you won't be able to put your ideas down as perfectly as they seem in your head. 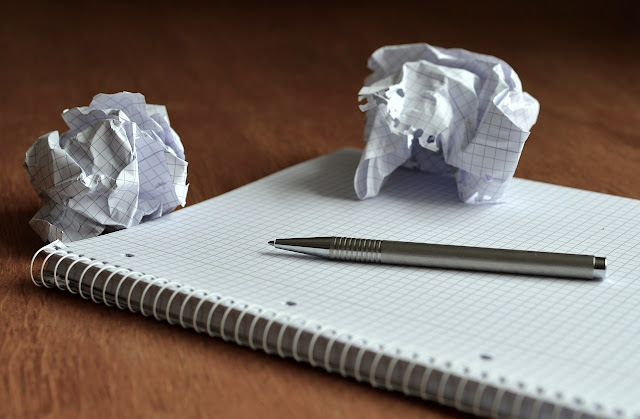 Tip – One way to overcome procrastination is to set up a writing schedule that takes precedence over everything else. And then stick to it. So your writing schedule tells you it's time to write, but your mind is like a blank wall. You type a few words – and then delete them. Then maybe a sentence or two. Delete. Why is nothing any good? You can just say that you've got writer's block. Everyone will understand. Writer's block is hiding the fear that you aren't perfect – that your post won't be good enough for people to read. Tip – You need to conquer that critical voice that says nothing you do is ever good enough. Easier said than done, right? One way to deal with that inner voice that berates your writing is to decide that you'll only write a draft. You'll just get the words onto the page in whatever horrible form you can with the intention that you'll go back and edit them later. Once you make that agreement with yourself, you'll be surprised how much easier it is to get the words out. And later, you might find they weren't as bad as you originally thought. Don't let fear win. Recognize fear as just another stumbling block that you can put in its place. And turn those words into a post. 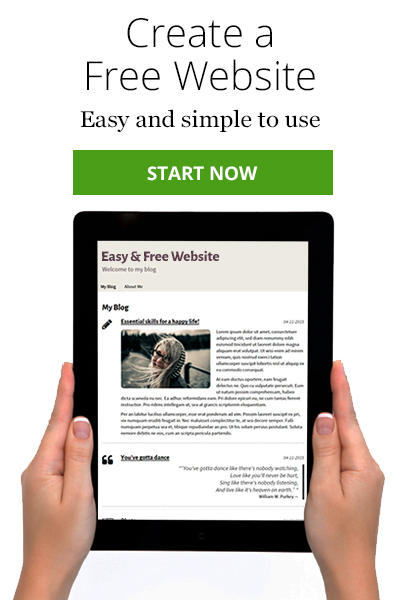 Are you ready to set up a FREE blog at SimpleSite. Click the green button to get started.